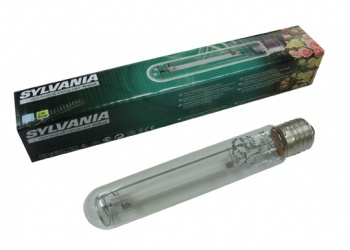 The Sylvania Grolux 600W HPS lamp is a dual-spectrum lamp with a high 90,000 lumens output. The Sylvania Grolux produces light mostly in the orange/red part of the spectrum for excellent flowering but also produces some blue to make it also usable the vegetative growth stage. This item is the lamp only, a suitable ballast and reflector are required.